With the aid of new technical methods and relevant skills, we are efficient in offering high quality BOPP Tape. This tape is designed and developed by the skilled professionals emphasizing on given specifications. The offered tape is available in distinctive measurements and can likewise be altered according to the requirements provided by our customers. Price Range : Rs 800-1600 per carton. Establish in 2008 at Delhi, Opal Impex started its venture in the as a Importer, Supplier and Trader of wide spectrum of Gum Copal, COATED ABRASIVES and Masking and BOPP Tapes. These products are specifically manufactured using approved technical process. After considering prevailing market concerns, we come to know about diversified demands of the customers and develop cost-effective products using our indigenous expertise and skills. Our organization has gained matchless reputation and success in this domain by providing attractive, effective and feasible material to various industries. It is transformed into high client's satisfaction and immense response for our products. We are supplier of Gum Copal. Our portfolio comprises every Grade of Gum Copal, COATED ABRASIVES and Masking and BOPP Tapes. Our supply network is one of the best among all the Distributors of similar product. 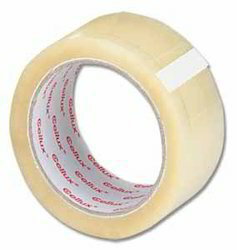 We are also offering of Masking Tape and BOPP (Packing Tape). The quality of our Tapes is finest and price is also very economical. We are supplying material in nearly each area of country. We trust in best service and quality at competitive price. Our Punch line is purchase from wherever but inquire from us for quality and Price once.